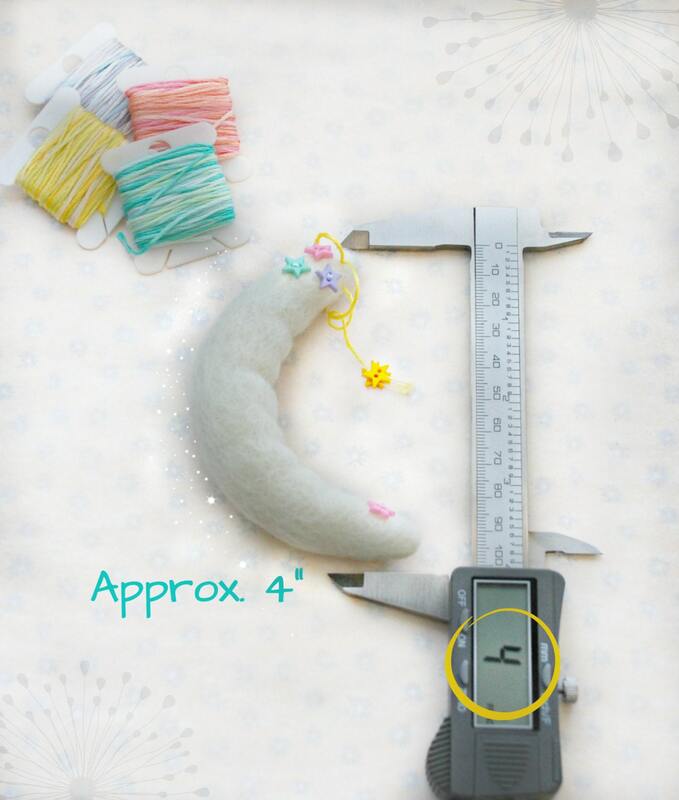 Small Moons = Approx. 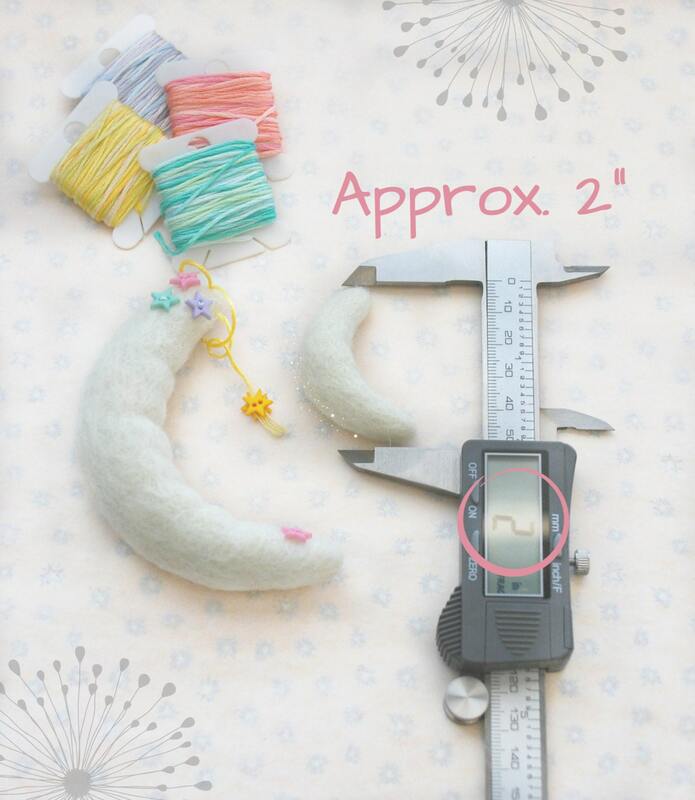 2" (5cm) - Refer to image #4s. 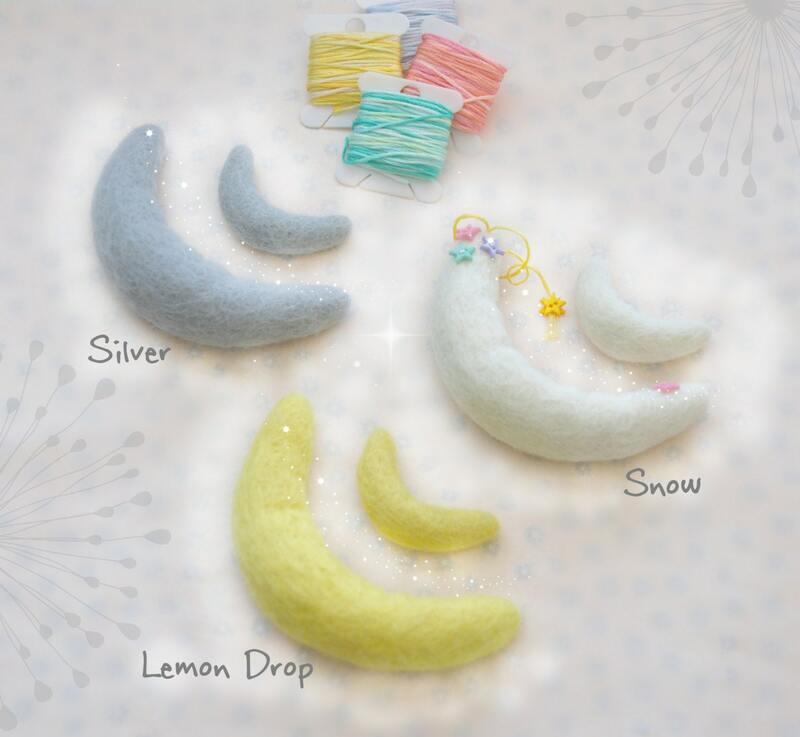 == VERY IMPORTANT: Shades may vary slightly between each star and each dye lot == The "SNOW" color is NOT a natural white! Aren't these cute?!! 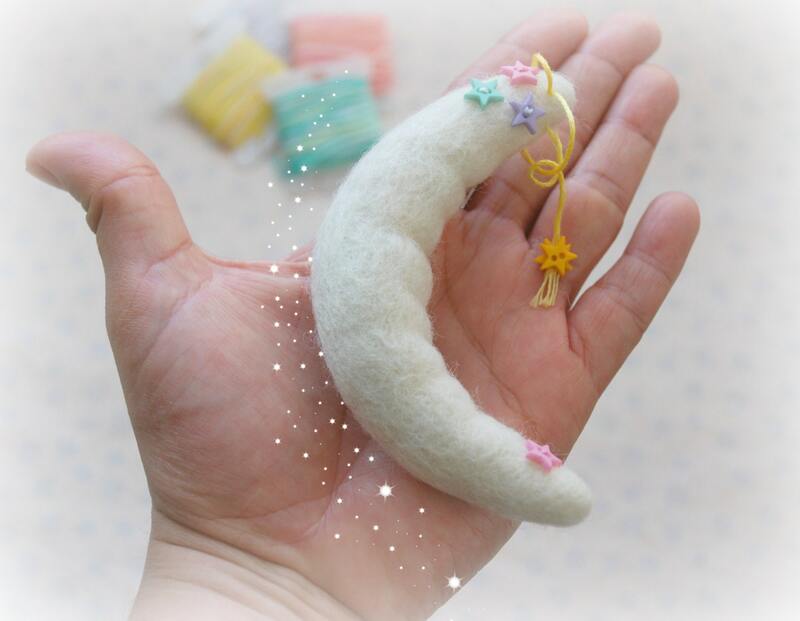 Oh so many things you can do with these lovely felt moons... use them as decor, for baby mobiles or to add a 3D effect to your crafts such as hoop art, wreaths, etc. String them together and make a garland! 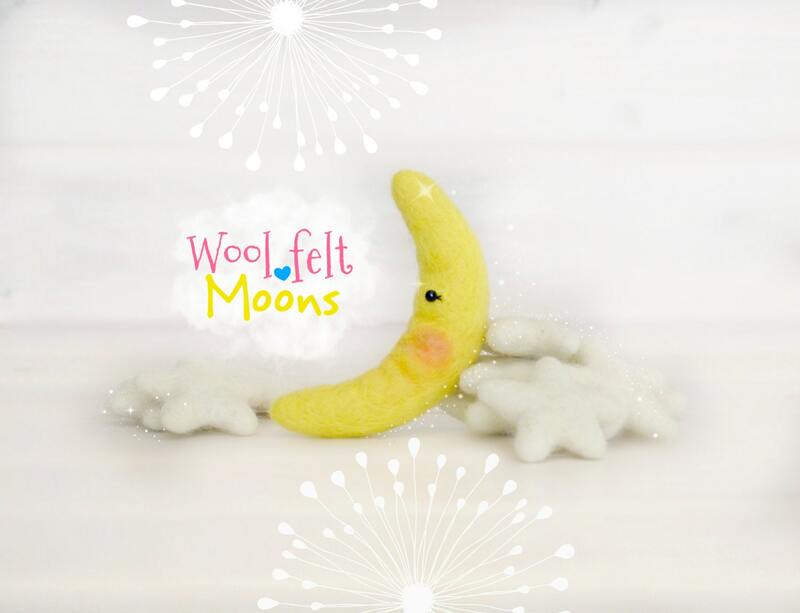 These lovely felt Moons are 100% Handmade in Nepal and are dye with Azo-free dyes. So cute! Exactly as described.